The Don’t Cut Us Out Campaign have organised a demonstration in protest against the £100+ Million in cuts planned by the County Council over the next 4 years. On February 14th, councillors will vote on whether to approve these brutal cuts. We will send the leader of the County Council, Louise Goldsmith a valentine’s card to show that West Sussex residents need their vital services. £79 million has already been cut since 2010 which has caused untold misery for the vulnerable by decimating public services they rely on. Make your voice heard. 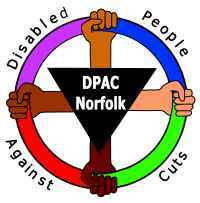 Lobby your County Councillor, tell them that you oppose these cuts. Attend the Council debate which follows this protest. We say there is no more fat to cut.